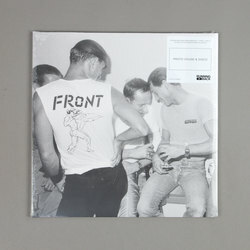 Various Artists - Running Back Presents : 'Front' Part 1 (PROTO-HOUSE + POST-DISCO). Vinyl LP. Bleep. Running Back drop a compilation dedicated to legendary Hamburg club Front. Though the venue closed its doors more than two decades ago, the sound and style of Front paved the way for the hallowed halls of contemporary German spots like Berghain. RB boss Gerd Janson cannot speak highly enough of Front, so it’s no surprise that he should be the one to do the digging for Part 1: Proto-House + Post-Disco. The eight tunes here are effervescent four-to-the-floor dancefloor fare. They still sound vital after all these years.